B.Tech in Electronics and Communication Engineering is a four years full time graduate degree program, comprising two semesters each year. The program is approved by AICTE and affiliated to Dr. A.P.J. Abdul Kalam Technical University, Uttar Pradesh, Lucknow.It deals with analog and digital transmissions along with reception of data, voice and video, basic electronics, solid state devices, microprocessor analog and digital communication, analog integrated circuits, satellite communication, microwave engineering and antenna and wave propagation. 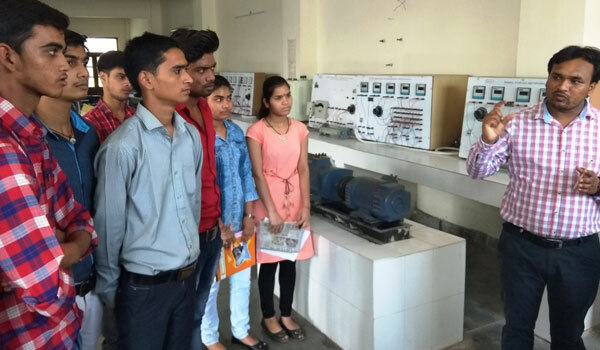 The electronic devices have flooded the domestic and global markets and have captured the life of the modern day man therefore there is a huge demand for trained professionals in the field of Electronics and Communication Engineering. The customers desire to enjoy integrated services at affordable price, therefore the growth rate in terms of electronic devices have increased to comparatively huge amount. The institute has designed an intensive curriculum for the aspirants in order to comply with the prevalent industry needs.